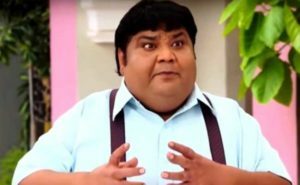 In the ‘Taarak Mehta Ka Ooltah Chashmah, famously known as Dr. Hathi, has died of the Heart Attack. The famous poet Kumar Azad. Dr. Hathi had been associated in this show for a long time. His character was very much liked in the show. 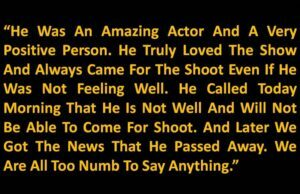 According to the information, he passed away at Heart Attack in Mira Road Wockhardt Hospital in Maharashtra. Sources linked to the show said that the poet K. Azad’s call came to the producer this morning, and he had said that his health is not good, so he will not be able to come to the show today. But after a while, these bad news came. Sources linked to the show say that despite the health problems, they also came to the show. They loved the show a lot. ‘Tarak Mehta’s Reverse Chashma’ is going to complete 10 years, so there was a meeting on this set today. But before that, this bad news came. The time he suffered a heart attack, he was at home. The demise of the TV industry has been a big setback. As soon as the news of Dr. Hathi’s death was reported, the shooting of Tarak Mehta show was canceled. 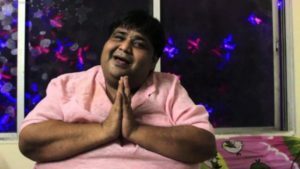 According to the media reports, in the year 2010, Kavi Kumar Azad alias Dr. Hathi had reduced his 80 kg weight to surgery. After this surgery, he became very comfortable in his daily life. Dr. Hathi has also worked in Bollywood. He was seen in Aamir Khan’s ‘Mela’ in the year 2000. Apart from this, Dr. Hathi had worked with Paresh Rawal in films such as ‘Fontusch’. ‘Tarak Mehta’s Reverse Chashma’ has been completed for 10 years. 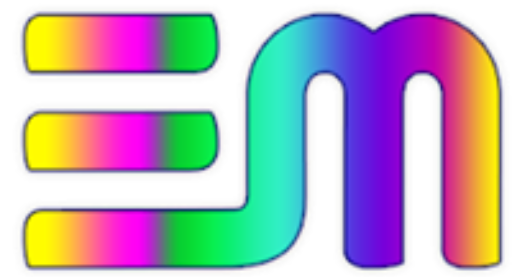 This is the fifth longest running show in the history of serial television, starting July 2008. So far around 2.5 million episodes have been telecasted.